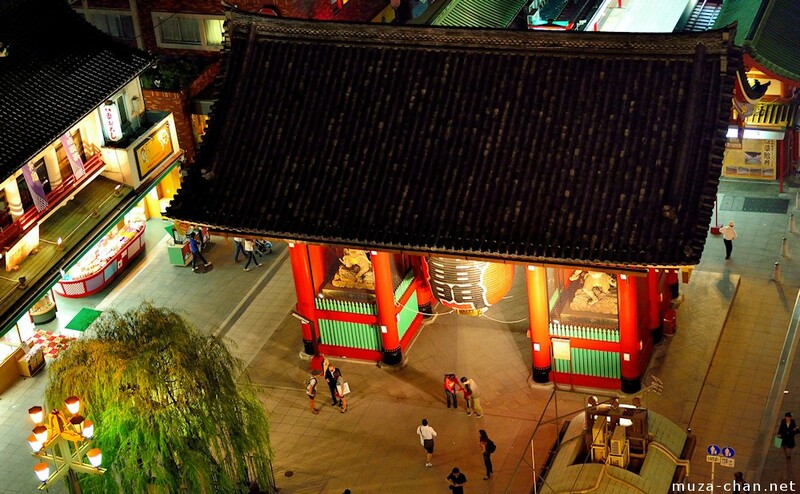 One of the less famous but very scenic observatories in Tokyo is located on top of the eye-catching Asakusa Culture Tourist Information Center. Located right across the spectacular entrance of Senso-ji, the 8 floor tall observatory offers a perfect bird’s eye view over the Kaminarimon, the Nakamise-dori and the surrounding district, especially by night, when everything is gloriously illuminated. Simply beautiful!